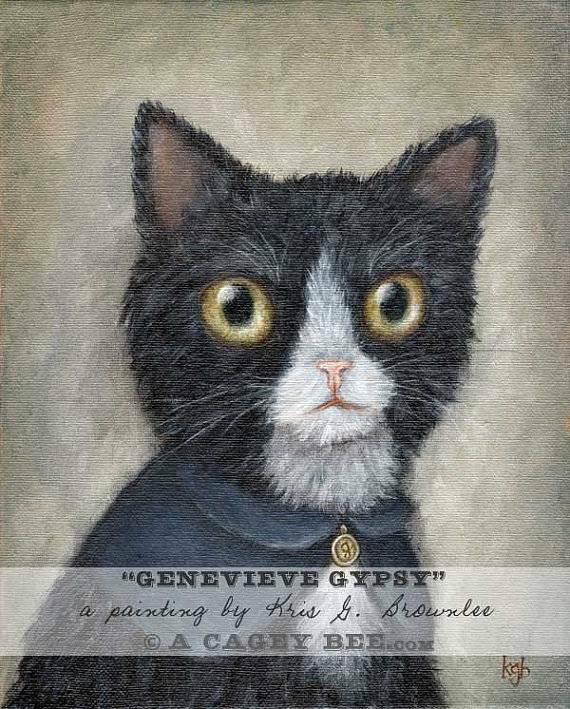 "Genevieve Gypsy" high quality 8.5"x11" bordered print by, A Cagey Bee. Genevieve Gypsy is rather serious sort, the kind who prefers the company of cozy quilts, stacks of good books and piping hot mugs of tea. She loves the smell of lavender and fresh cut tulips. She has a special weakness for men wearing glasses. And when no one else is home? She secretly likes to dance in the living room, shaking her hips to Lady Gaga. Here, she is printed on beautiful fade resistant matte paper with a lovely weight. After testing several types of archival paper, the artist settled on this one for its vibrant colours and sharp detail of the canvas texture. Under glass it's tough to tell you're not seeing the original painting! 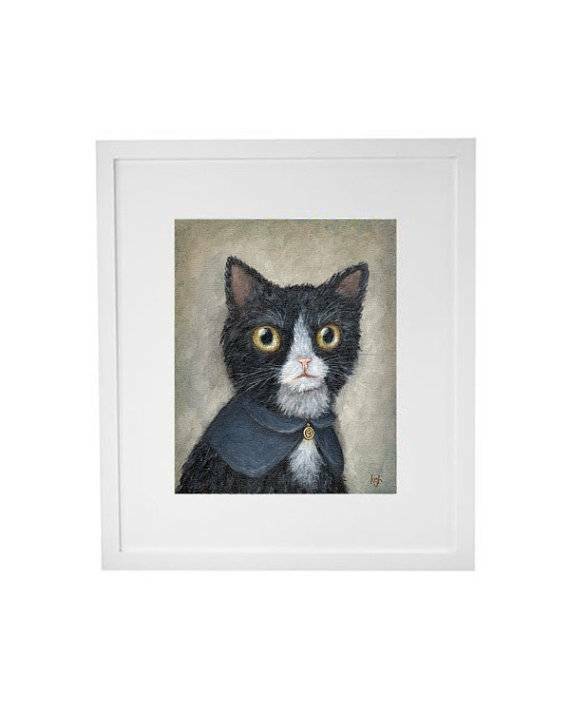 This print measures 8.5"x11" which includes a white border for framing. The actual print size is 8"x10". A Cagey Bee, is Kris G. Brownlee who paints, prints and creates in Vancouver, BC.